Like bees to honey, we seem to be drawn to medieval cities. Little wonder, then, that we thought this castle was the most interesting and photogenic building in town. 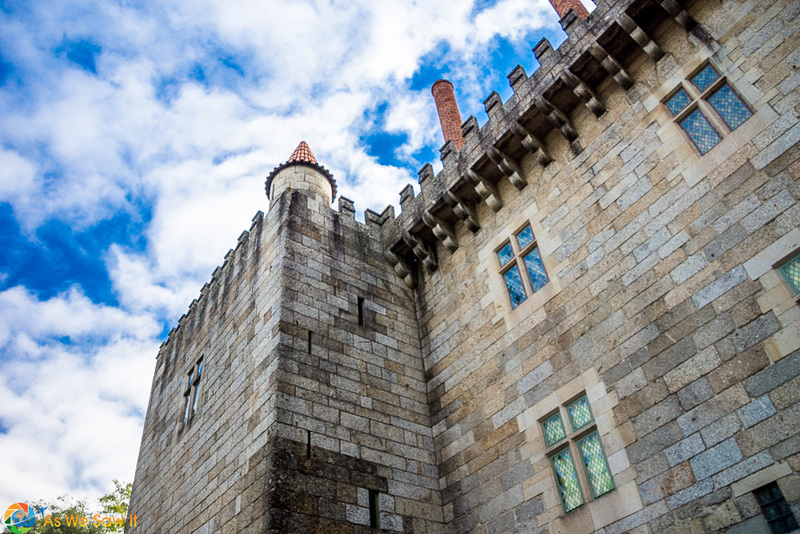 Guimaraes Castle sits atop a hill and is remarkably well preserved, considering it is over 1000 years old. It was built in the 900s to defend the city from the Moors and the Normans. 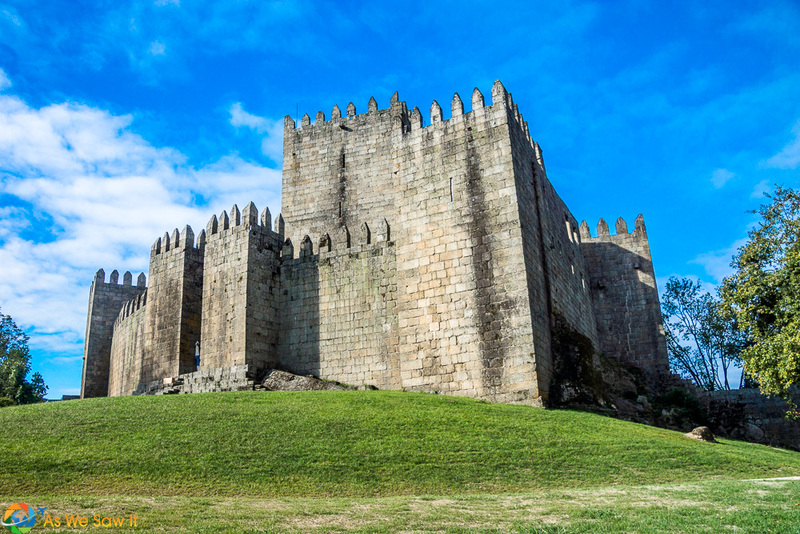 Because Afonso Henriques and his allies fought and won the key Battle of São Mamede (1128) nearby, Guimarães Castle became one of the greatest historical symbols of Portugal. the capital. You can still find the ancient words Aqui nasceu Portugal (Portugal was born here) engraved in one of the old towers of the city’s old wall. (It's in Largo do Toural, one of the most important squares in the city). What they now call a palace was built as a manor house in the 1400s by the first Duke of Bragança. Apparently someone felt it needed to have 39 chimneys. Anyway, its facade was inspired by French architecture, and inside you will find tapestries, furniture and pottery, among other objects. The Palace was eventually abandoned, which opened the way for it to be used as a military building during the Napoleon Invasions. Then it was left to ruin until António Salazar had it restored during his dictatorship. Now it's a National Monument and an Official Residence for the Presidency of the Republic. 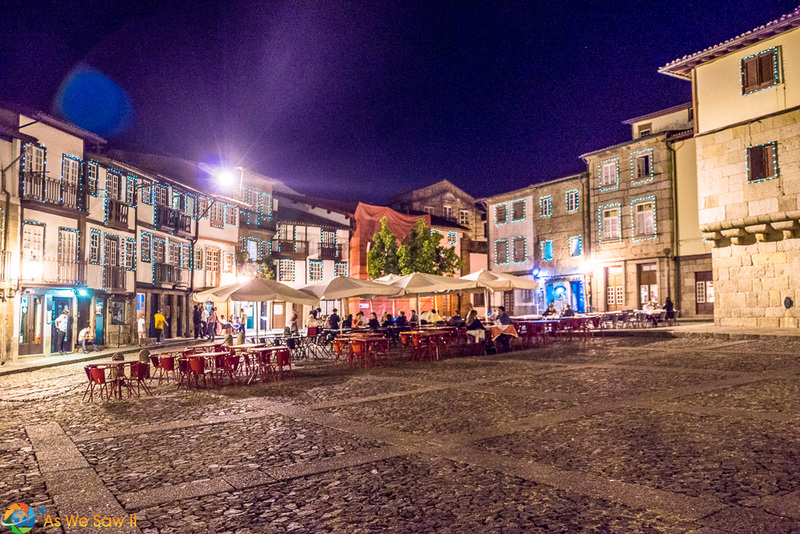 Guimaraes (Guimarães, to the Portuguese) earned its World Heritage Site status due to its extremely well-preserved city center. In fact, it is so well-preserved that many of its 15th-century buildings are still being used. The narrow, winding maze of streets almost led us to wonder if we'd been transported to medieval Portugal, especially when we got to the main square. It's a good place to relax and enjoy the ages-old view of Olive Church and the rickety old houses that are typical in the city center. Olive Square is filled with standing-room-only narrow balconies on its oldest houses. Its newer (16th and 17th century!) granite and half-timbered houses are picturesque, too. Sit and have a drink; you'll really feel the medieval spirit of the city here. I'm not sure if it's because it was the 2012 European Capital of Culture but as twilight descended Guimaraes' buildings, eaves and windows came alive with lights. It felt like we had entered another world. 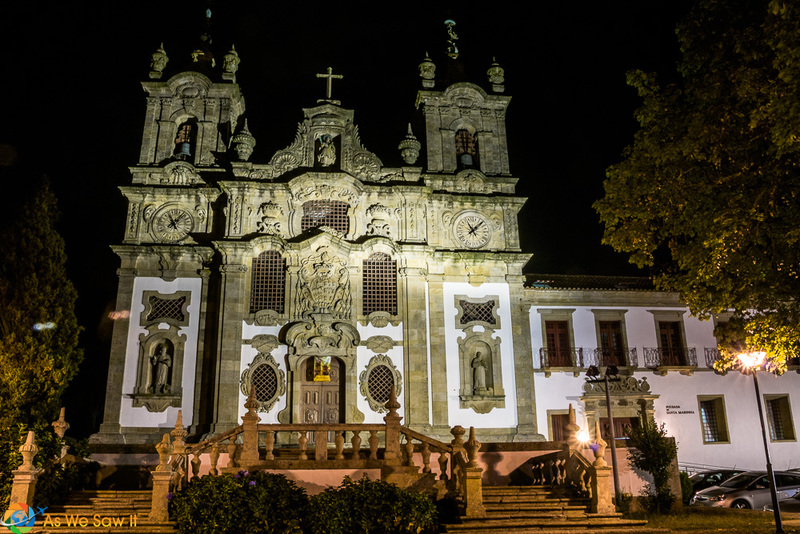 Our Lady of Olives monastery church was founded by King Afonso Henriques. It is known for both its ornate tower and for an interesting local legend. 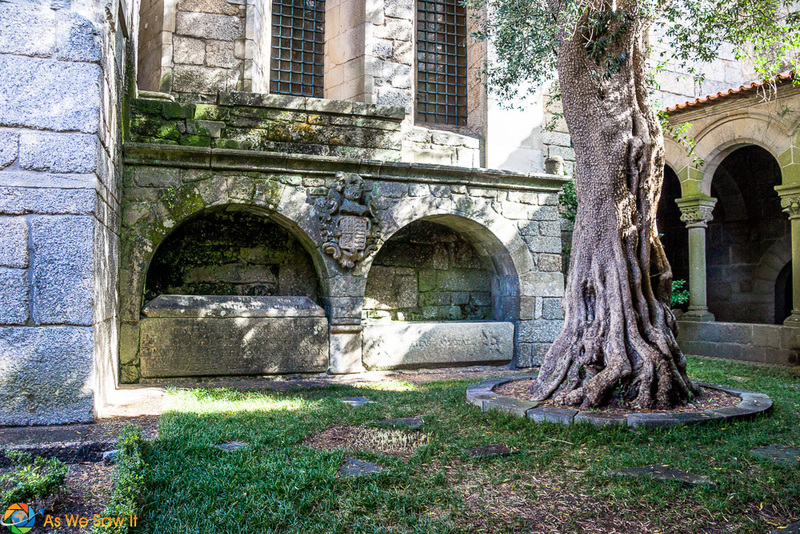 An olive tree was planted in front of the church to supply olive oil for the altar lamps, but it got sick and started to die. A local merchant placed a cross on the site and the tree miraculously recovered! True or not, the olive tree currently on the site is not the original. A building with arches stands in the historic center, between Oliveira and Santiago squares. It's all that remains of the 14th-century City Hall. It is now an art museum. 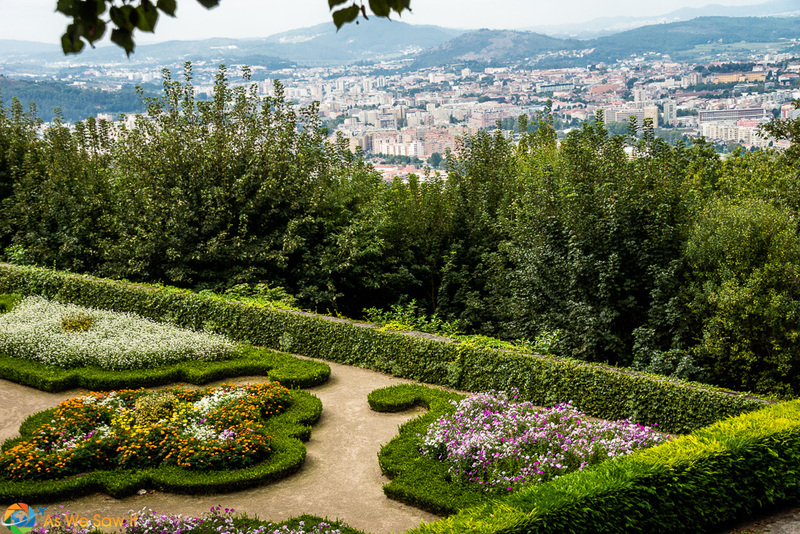 Enjoy marvellous panoramic views of Guimarães from Penha hill. As an alternative to driving, take the Penha cable car. You will get a spectacular bird’s eye view of the city. The best time to experience the religious side of the city is the week before Easter. Holy Week is the most important event of the city, and the Ecce Homo evening procession on Maundy Thursday is the highlight of the week. 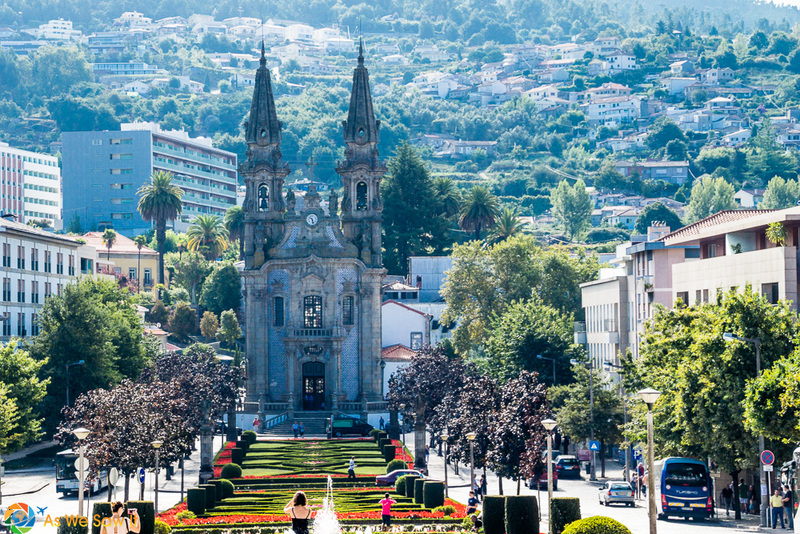 You might want to tie it in with a visit to Bom Jesus do Monte, a sanctuary church outside nearby Braga. Forget renaissance fairs. Ever since the middle of the 15th century (1452, to be exact) Guimarães has held an annual festival of medieval art and costume. If you visit in the first week of August, you can join in its three-day celebration. It includes a torchlight procession and a lively, medieval parade. It also features a medieval-style handicraft market and arts fair. September's traditional Feiras Novas festivals, feature folk dance groups, concerts, livestock competitions, Garrano horse races, parades and a traditional procession in honor of Nossa Senhora das Dores. 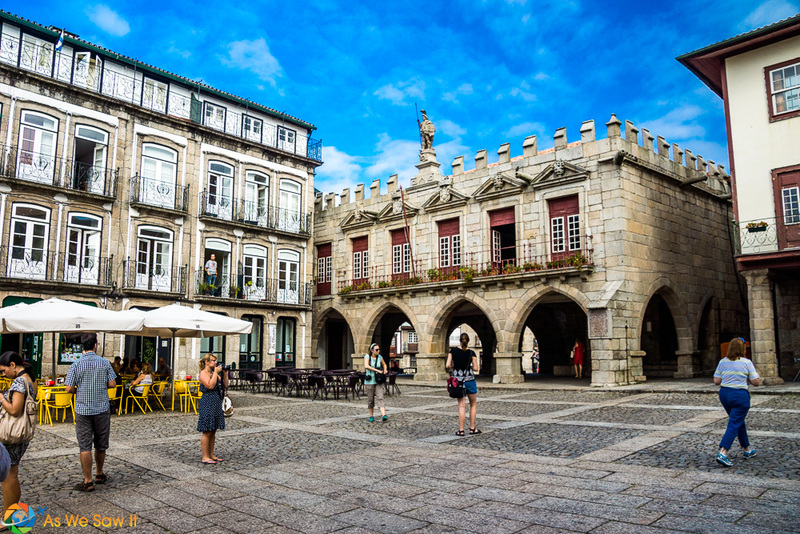 While it's easy to visit the city on a day trip from Porto or Braga, consider prolonging the historic ambiance with an overnight stay at one of the two nearby Portuguese pousadas. Our stay at Pousada de Santa Marinha, on the slopes of Monte da Penha, certainly made us pousada converts. This former monastery once belonged to Queen Mafalda, wife of King Afonso Henriques, and was part of the order of the Holy Canons of Saint Augustine in the 12th century. Despite its impressive view overlooking the city, it retains its original tranquility even today. Step outside to be greeted with a fabulous view of Guimaraes. Visit the official Turismo de Portugal, Porto e Norte website. Pin it: Save this article for later by pinning it to Pinterest. Special thanks to Turismo de Portugal, Porto e Norte for sponsoring our trip and showing us around the Douro region. As always, all opinions in this post are our own. 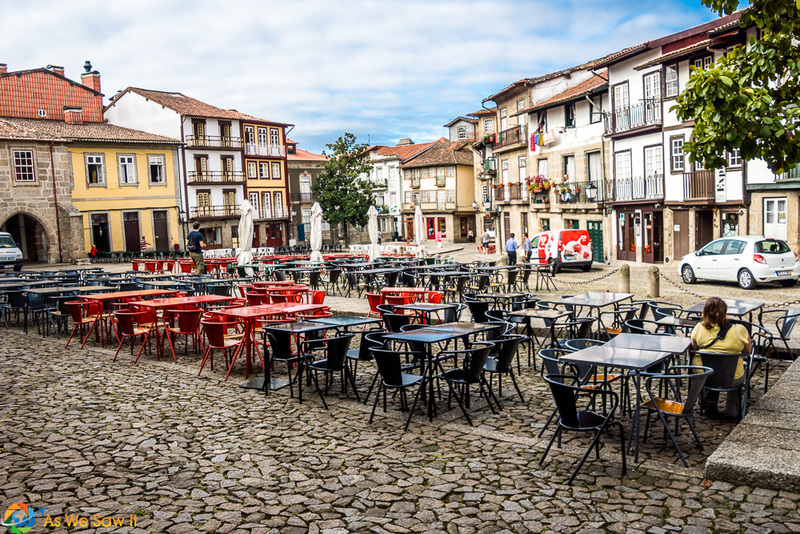 I visited Guimaraes in 2015 and it was a surprising experience. Such a small town, but so beautiful. Food is also great. For me the S. Francisco church has one of the most beautiful interior decorations, I’ve seen. The city has so much to see – I wish we had been able to spend more time there. This beautiful buildings and the rich history makes Guimares so Increadable. Love this photos! Thanks, Agness. Have you been to Portugal?